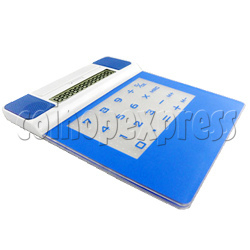 Calculator Mouse Pad With Multifunction is combined calculator and smooth mouse pad function. It comes with 12 digital calculator, USB Speaker and 4-Port USB Hub. It is comfortable for busy long-time working or PC game. with big logo area, please contact us for printing extra cost.